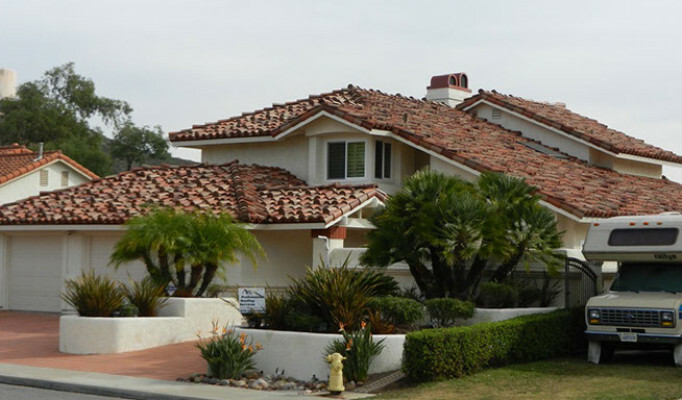 Residential re-roof from wood shake to light weight clay tile in Bonita. Warren & Elleene Wright John Mortenson house. Composition shingle, new framing & woodwork. 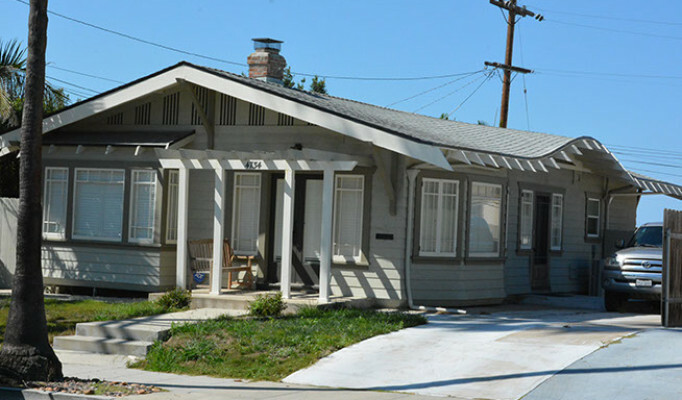 1920s home in Kensington with an “eyebrow” roof (on right). New roof, shingles and wood framing. 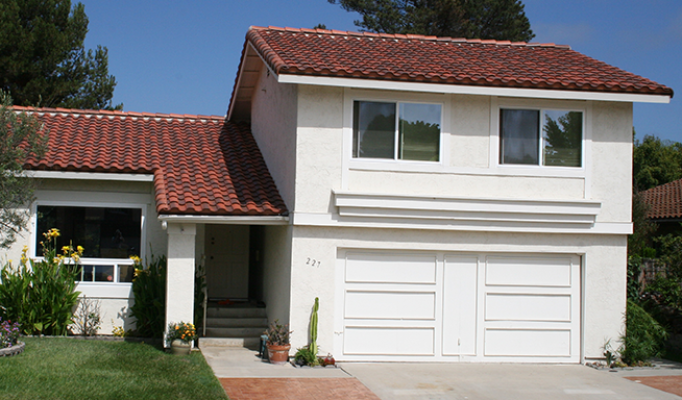 Clay S tile with a custom blend of colors in University City. 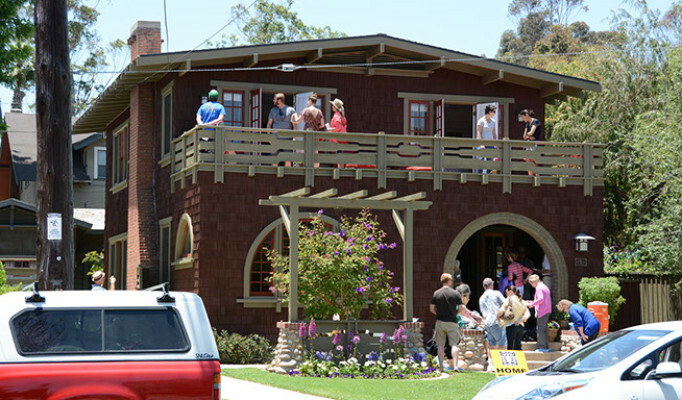 Historic mansion ca. 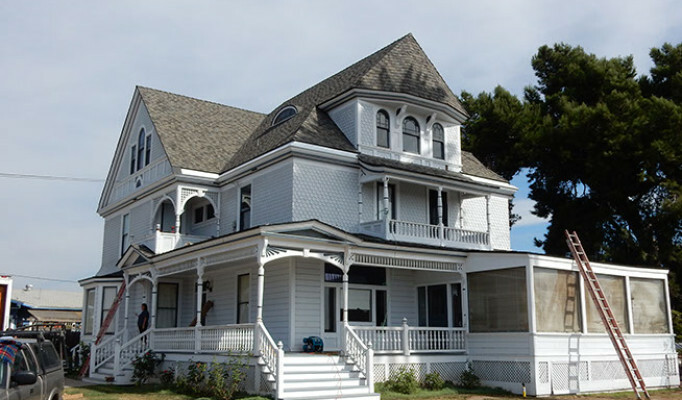 1893 in National City with Certainteed TL shingle. 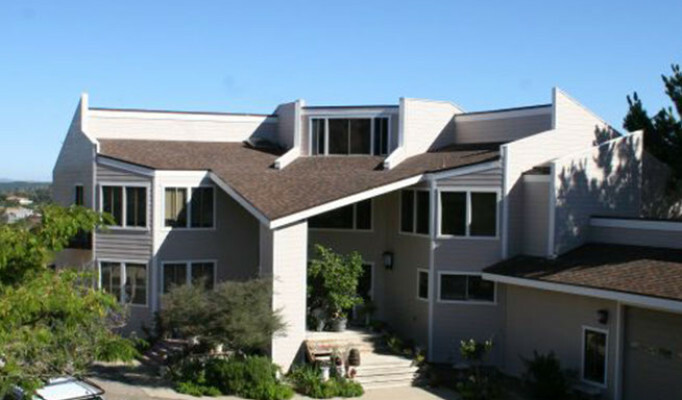 New roof, solar hot water heater (front) and electric solar system (nearest to chimney) in University City. Historic house in Kensington. 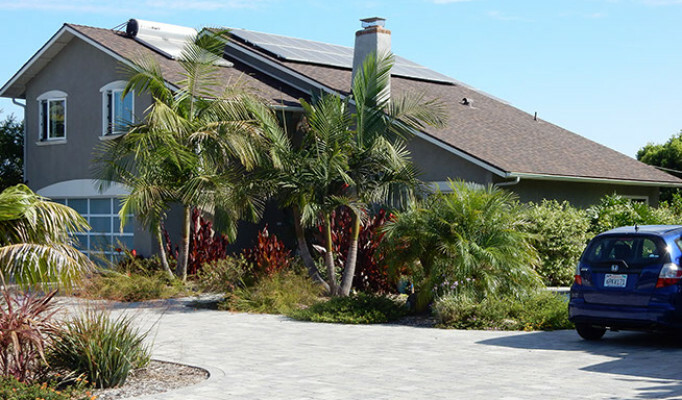 Flat roof and 2-piece tile entryway. 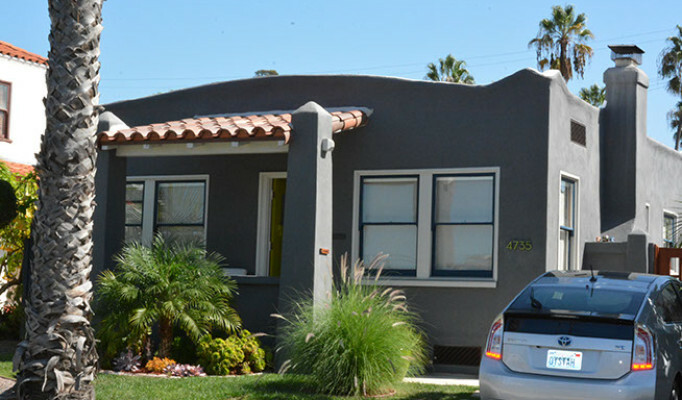 Residential cool roof, new Hardie siding, all new wood trim & custom metal wall caps in Ramona. Close up of prior picture. 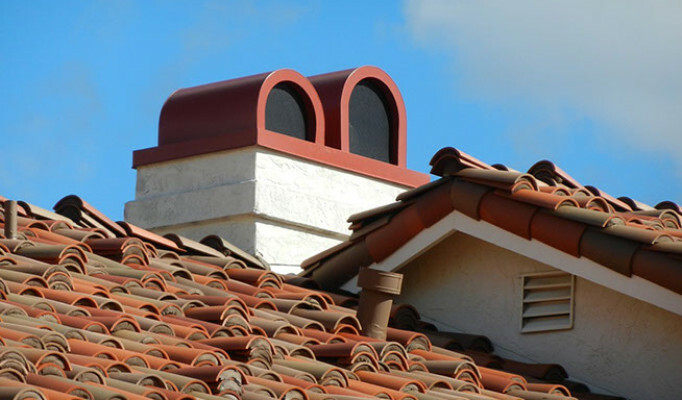 Custom chimney cap. You can see the boosted tile & mortar, died tan to match. 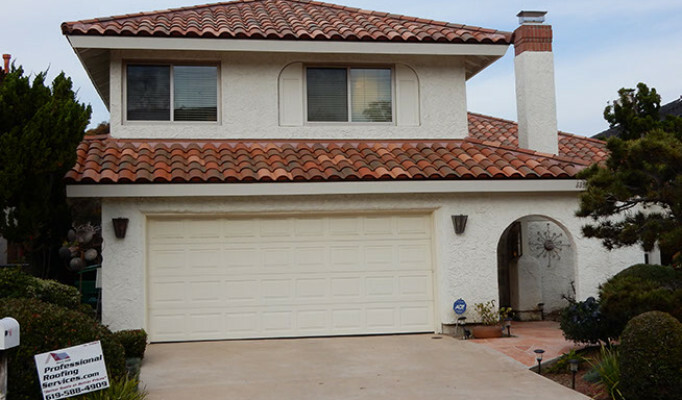 2-piece clay tile, fully boosted (tiles stacked 2 & 3 on top of each other) and mortar set in Granite Hills. 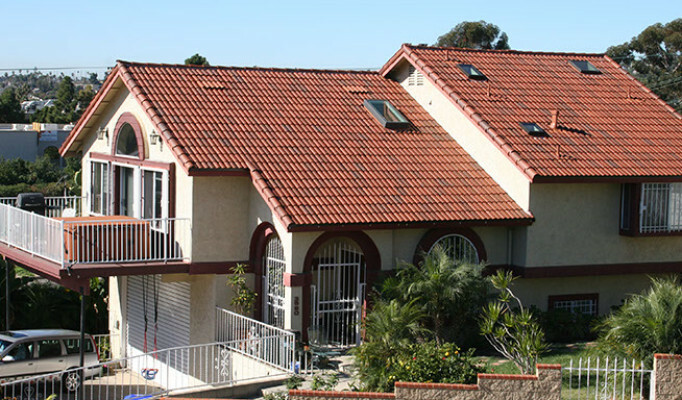 US tile Claymax (low profile clay tile), and custom skylights in Bay Park. 1920s historic cottage. 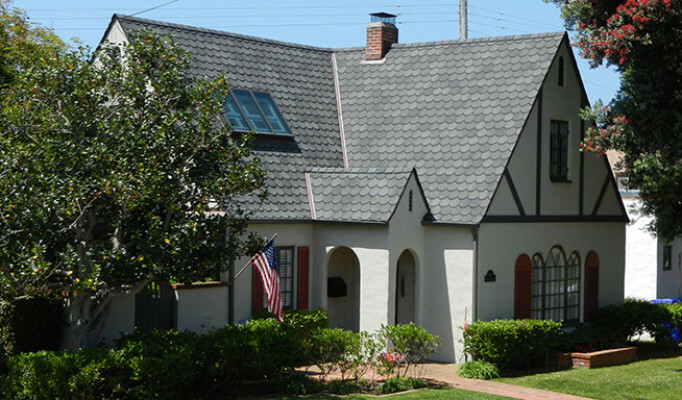 Fish scale shingles, copper flashings (metal fixtures on roof) & custom skylight.